The first thing you should know about Open Road Summer for me is that it was one of my most anticipated reads of 2014. No lie. There is just something about a road trip, music, and a cute boy next door type musician that screams, “READ ME!” I can’t even explain the excitement I felt when the package arrive. I immediately dropped everything and turned to page one. And then basically spent the next day or two falling in love. 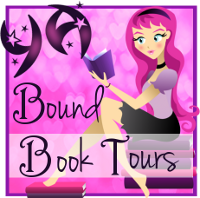 The book opens up with our main character boarding the tour bus of her best friend, the country music singer, Delilah. Fresh after a bad breakup, Reagan is ready for a change, a chance to turn her life around and become more of the person she wants to be. So these girls embark on a summer long journey together, both needing to reflect on their life and what makes them happy. There is nothing more refreshing in a YA novel for me than a strong family or friendship presence. Reagan and Delilah were just a joy to read, friends through thick or thin. They didn’t push each other to do things the other wanted. They genuinely supported each others’ decisions. So much loyalty was shown between them and I admired their connection. It was beautiful to read, truly. If their friendship wasn’t enough, we are also introduced to another great friend dynamic with one Matt Finch, who was brought on for support and to open for Delilah’s shows after some negative press caused her some hiccups and stress about her image. He fit right in and once again I was blown away but how genuine and caring these characters were towards a friend in need. Individually, everyone shined. Reagan was snarky and tough with her built up walls and fear of letting people in. But she was very likable and I greatly enjoyed how we entered the book with her already working on a life turnaround from her past. Delilah was just plain sweet. She reminded me quite a bit of Taylor Swift in many ways in regards to her fame. She was confident and independent but also vulnerable and craving normalcy. Matt Finch is imperfectly perfect. He’s flawed and I liked that. He isn’t particularly smooth but almost more adorable in a dorky way at times. Adorkable! But his story about his mom and tattoo… *heart clench* And he writes songs! If loving the journey of the read wasn’t enough, the ending solidified it for me. There were moments that truly touched me, leaving my eyes a little on the misty side. But there were also moments of giddy glee that left me smiling from ear to ear. I adored how realistically it ended and I applaud the author for writing such a beautiful story about friendship and living. I couldn’t have asked for anything better. OPEN ROAD SUMMER, her first YA novel, is out April 15th, 2014. A second YA novel TBD will be released Spring 2015. You can contact her at emerylord@gmail.com. Aww, I am so glad you loved this! I remember how excited you were when you got it! I love that there is a solid friendship in this one. As you mentioned, it just isn’t seen that much in YA anymore. Sounds like a cute read. 🙂 I’m a fan of great family dynamics in books as well; it seems like a needle in a haystack in YA, to be honest. Glad it lived up to your expectations! The relationships sound fantastic. 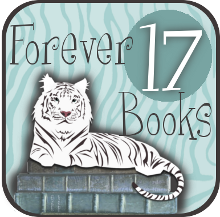 Nereyda @Mostly YA Book Obsessed recently posted…Georgie-Thon Week Two Wrap Up! This is such a gorgeous review Sara! I’ve had my eye on this book for sometime now, so I’m glad that you really ended up loving this. The characters sound hugely relatable, but also ones which leave the greatest impression with you! I will definitely be pr-ordering this pretty! Also excited for this one. Glad to hear it was such a good read! I just finished this and I absolutely loved it. Need to write my review, but I agree with just about everything you said! So glad you loved it! I totally agree that YA books need a stronger family presence! I was totally thinking “Taylor Swift” before I got to that point in your review. I’m glad to hear the friendship was done so well. The healthy friendship being featured sounds amazing, I can’t wait to get to this one. Those two quotes are so perfectly perfect their perfect (don’t judge that sentence my brain feels like mush after reading that first quote). haha, but serouisly this is one of my most anticipated reads for next month since every one is raving about it and i just WANT it. i’m so happy to hear this one didn’t disapoint you! now i just need it THAT much more. Great review! I’m really excited for this book and now reading your review has made me even more excited to get my hands on this book once it comes out. The plot sounds so good! I also am a huge fan of YA books that have a strong family or friend relationship. It’s great to hear that Open Road Summer has that type of friendship. But this one sounds great! I don’t know how this one slipped by me, it sounds awesome! Road trip, country music, best friends, concerts, swoon worthy guy, all good reasons for me to pick this one up =) Glad it lived up to your expectations. Great review! Awesome review! I’m so glad that you liked this one. 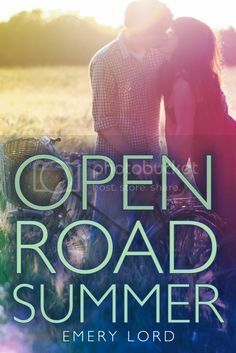 I’m not a huge fan of YA Contemporary novels, but I’ve heard tons of positive things about Open Road Summer, so I’m actually really excited to read it! Adored this book, absolutely adored it! I can’t wait to read more from this author if this is her DEBUT! The friendship, the romance, the music! So much awesome! And I loved those quotes you included. Perfect!